Happy Monday yo. I'm back in Brooklyn after spending the majority of last week in Oklahoma City and Tulsa. I could go into how weird it was going back home for the first time after moving my family to New York, but no one has time for that. Loved getting to spend some time with my parents and freakin' kudos to Tulsa and all the goings on for the art kids up there. Now that that's out of the way, on to the main event: me giving in depth tutorials on "how to become a better filmmaker" and trying to sell you a subscription to my inner circle membership. Either that or me just walking you through an idea I'd put aside a while back to actually using it on a paid client project. Todd Pyland from TPC Studios called a couple weeks ago with a project the first week of April. Any reason to be in Tulsa is a good one so I was all about it. 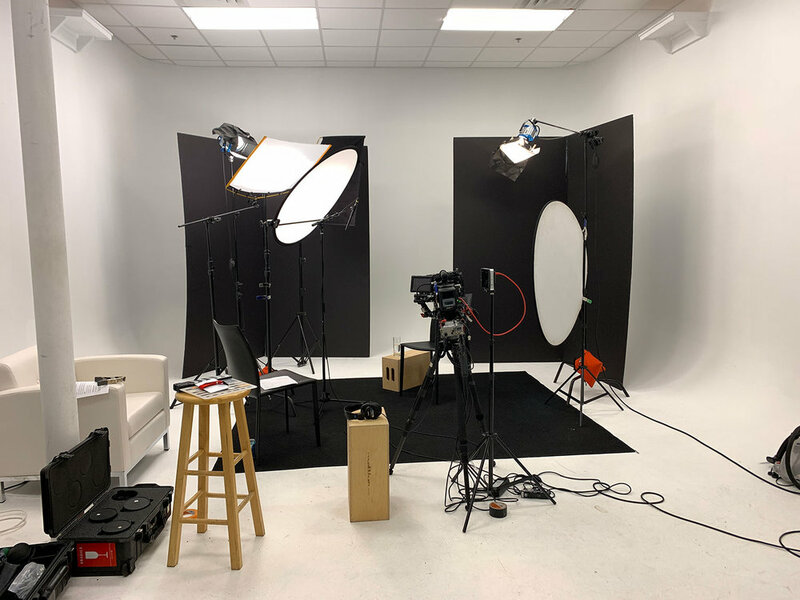 We'd be shooting some interviews for one of their non-profit clients in TPC's white studio space. I sent them a link to some of my other talking head shoots and also put together some options and rough ideas. 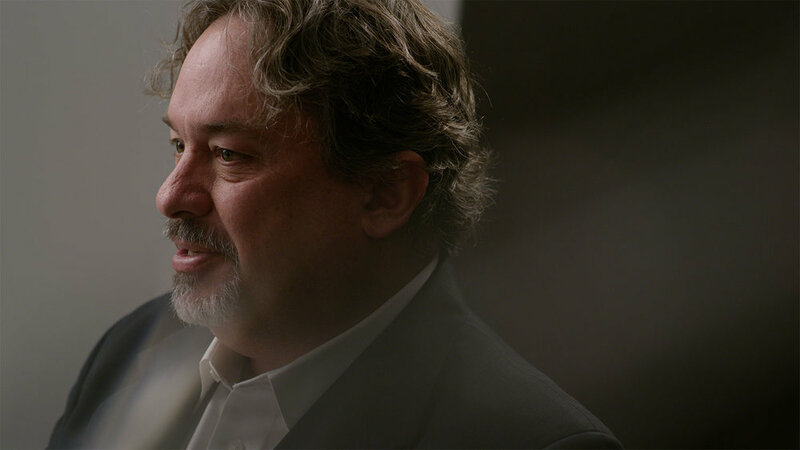 We ended up going with a mix of ideas I'd seen from DP Oren Sofer (screen grabs and BTS) and a conversation I'd had with a buddy of mine named Charlie Molleur about another DP who'd shot through clear plastic spoons to get a distorted look into the camera. I'd shot through similar items before and knew the distorted image could help to add an interesting look to these interviews. The client approved the look and I started working through how to make it work. 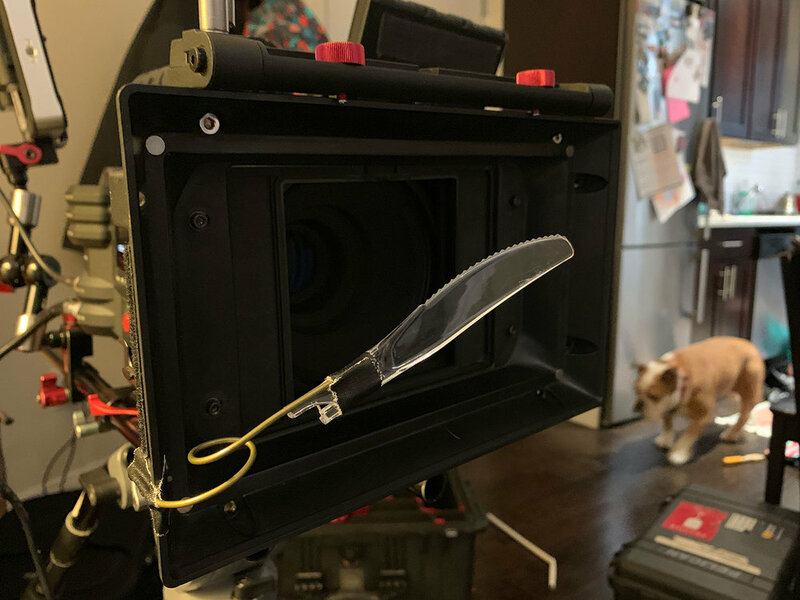 Oren Sofer used stands and Cardellini clamps to place small sheets of glass in front of the lens; Charlie's guy had taped plastic spoons to a c-stand. When I'd shot similar looks I'd just held the transparent item in front of the lens, but for this shoot I knew I'd be on my own for setup, running both the camera and audio, and we'd planned to slightly vary the look of each of the interviews. With that in mind, I wanted to figure out a way to quickly and easily attach whatever it was I planned to shoot through. Oh, and also didn't want to spend any money doing it. The first solution was taping the plastic utensil – the knife looked better than the spoon for this shoot – to a bent wire I harvested from a coat hanger attached to the matte box. Yep, held it in place, but quickly became a nightmare in trying to adjust the look. Then I used a spring clip to attach the plastic utensils to a light stand. MUCH easier to adjust vs. the metal wire, but now since it wasn't attached to the camera I couldn't reframe as the talent adjusted in their seat. The final solution was to re-purpose one of the articulating arms I use for my monitors. 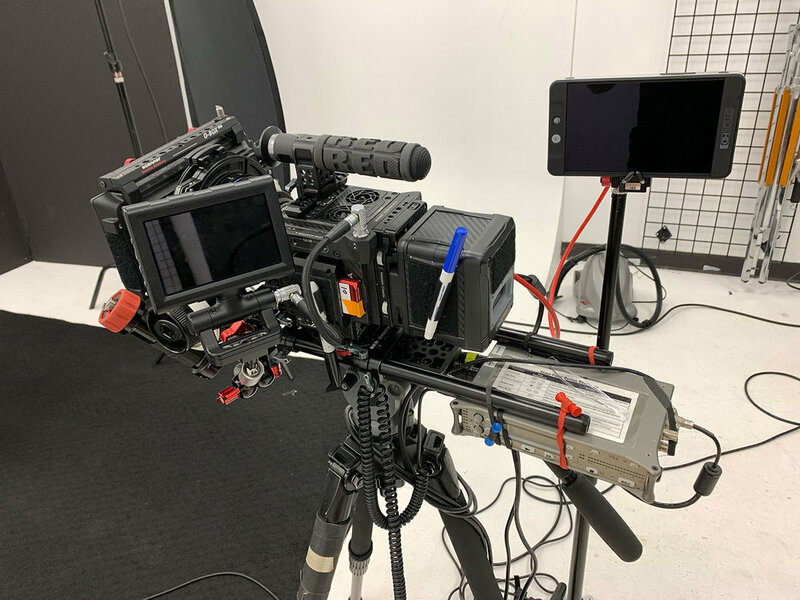 Turns out a $200 Zacuto Z-arm is MUCH easier to adjust vs. the metal coat hanger gaffe taped to a mattebox or using a spring clip and light stand. OH! And freakin' shout out to TPC Studios for having two large black v-flats at their space. I wouldn't find out about those being available until LATE into setting up for the shoot. I was absolutely tripping out trying to work out getting any kind of contrast while trying to light in an all white room. Being able to move those around along with different lens lengths (50 & 85mm) and adding a slight Dutch angle to the camera helped add some variation to the shots in what could easily been a sterile looking interview in front of a white wall. The original goal was to do all this nonsense without spending money. There's times when cheap hacks absolutely work, but by all means there a reason why professional gear is worth the investment. Oh, and I'm absolutely including the "figured it out in 2016" thing hoping anyone reading this doesn't think I'm an idiot.